Quality legal counsel on the Eastern Shore of Maryland | The law firm of Cockey, Brennan & Maloney, P.C. The law firm of Cockey, Brennan & Maloney, P.C. takes pride in its roots and connections to the Eastern Shore of Maryland and the quality legal counsel it has provided to individuals, families and businesses on the Eastern Shore of Maryland and across the State. The firm traces its origins to 1997 when three respected attorneys, Robin R. Cockey, Mark P. Brennan and Thomas J. Maloney, began their own practice to provide legal services to individuals, businesses, and local governments throughout the Eastern Shore. The founding partners are known for their sophisticated work in civil and criminal litigation and their devotion to developing strong personal relationships with their clients. who offer focused capabilities in diverse areas of the law, including administrative, employment, civil rights, criminal, estate planning and probate, construction, divorce, custody, adoption, child support, alimony, zoning, planning and land use, health care, personal injury, municipal, corporate, and real estate law. The firm represents clients in state and federal courts in Maryland at both the trial and appellate levels. The attorneys of Cockey, Brennan & Maloney, P.C. 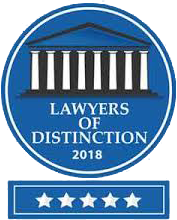 are practical, result-oriented lawyers skilled and experienced in handling disputes in administrative proceedings, courts, and tribunals at the local, state, and federal level. Each of our attorneys is a highly skilled negotiator and litigator. While we work to resolve each case quickly and effectively, we are prepared to take any case to trial. We are a local firm, serving local clients. Each of our attorneys has deep roots in the community and is dedicated to effectively serving our clients, as well as civil and charitable organizations. Each of our attorneys brings a diverse set of skills, resources and specific experience to our firm. We work collectively to bring individuals, families and businesses optimal legal services and results.